Have you ever seen a horse drive a sleigh? Can you count up everyone participating in the silly parade? Or do you want to meet Old Man Igor, who does everything topsy-turvy and upside-down? In this book you will find nursery rhymes that are based on traditional Russian songs and folk poetry. 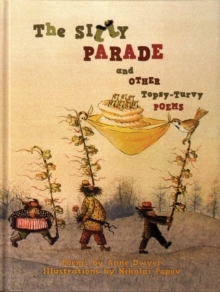 These funny and charming poems are brilliantly translated and retold by Anne Dwyer.